Many scuba divers who take year end trips to the islands to go diving only head off with the intention of occasional indulgence. They do not seem to find the need to go beyond the Open Water Diver Course which is a prerequisite if you want to explore beneath the waves of the sea. Most people just end there. And those people who get motivated to train themselves a little further so that they can drift confidently under the sea take up more advanced levels such as the divemaster course. Now, having traveled till here, the inevitable question is raised in your mind. ‘Is It Time To Go Pro?’ If your mind is tilted towards a probable ‘yes’, then you should consider taking up padi idc dive instructor course Thailand. If you have journeyed this far, it definitely means that you take diving more than just a recreation, you take pride in yourself for being this skilled. Becoming a dive instructor will help you go further and get certified to be thoroughly versed with diving skills. You equip yourself better and get the golden chance to pass on those skills to novice learners. Here we will explore the benefits of becoming a dive instructor. When you take up the instructor course, you take your diving skills to a whole new level. The training is much more intense and one goes through several drills to reach the professional level. Water skills, situational awareness and emergency response and rescue operations are increased multiple times to challenge you to the extreme. So, if you think you knew enough already with the padi dive master course, this course will force you to reckon twice. Becoming an instructor helps you grow manifold personally. You learn to own responsibility and take care of fellow divers’ safety. You are tested severely during emergency situations and are solely responsible to deal with people’s lives under the sea. Hence, you gain improved concentration, confidence and strengthen your leadership skills during this course. When training to become a dive instructor, you need to ensure that your team is having as much fun under the sea just like you had when you dived in deep to the aquatic world for the first time. With this course, you are certified internationally as a scuba instructor and you get the chance to teach in any corner of the world. Whether, full time or a seasoned professional, it’s completely your pick. If you cannot get enough of the aquatic world, this would probably be your dream job, or else, you get a bonus opportunity to earn extra even when you are on vacation. Either ways, it is a win win situation for you. 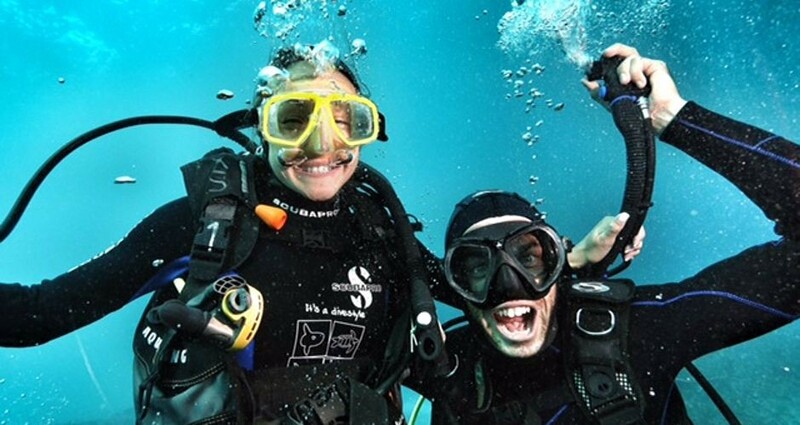 To join the league of diving professionals, take up courses with the Dive Academy in Thailand. Climb up the ladder from open water skills classes to padi divemaster course Thailand in order to place your first step into the professional world. Once you are through the divemaster course, you are ready to up the game with the dive instructor course. For details regarding all the courses, you can log into their website.